24 February 2016. Barcelona, Spain. Inc. Magazine has ranked ExoClick at no. 812 in the 2016 Inc. 5000 list of fastest growing private companies in Europe over the past three years. The Inc. 5000 Europe represents the only comprehensive look at what may be the most dynamic segment of the world’s economy: fast-growing private companies. Founded by current CEO Benjamin Fonzé, ExoClick is ranked as the 4th largest ad network in the world by W3Techs and the #1 ad network for the entertainment market. 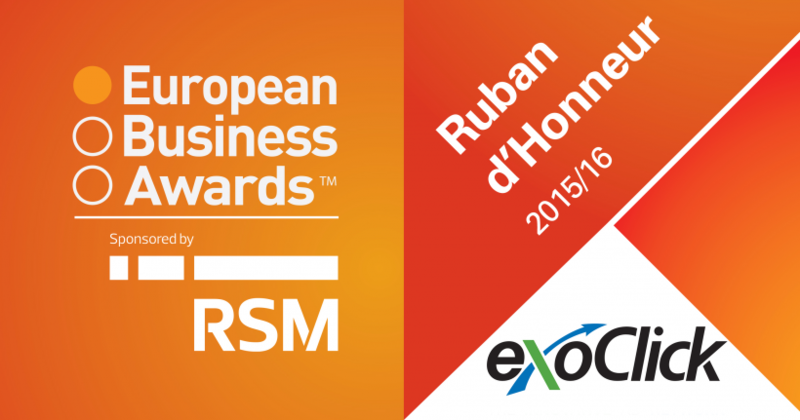 The Company has been ranked three times in the Deloitte Fast 500, it has won the Ruban d’Honneur Award for The Business of the Year with a Turnover of €26-150m in the 2015/16 European Business Awards and is ranked at number 11 in the Top 20 Best Workplaces in Spain in the category of companies with between 20-49 employees (PYMES).